• Over-the-Air updates, wallpapers instantly appear! • Easy way to share wallpapers across social networks! • An elegant user interface for all iOS devices! • Exclusive wallpapers to match your tricked out device! 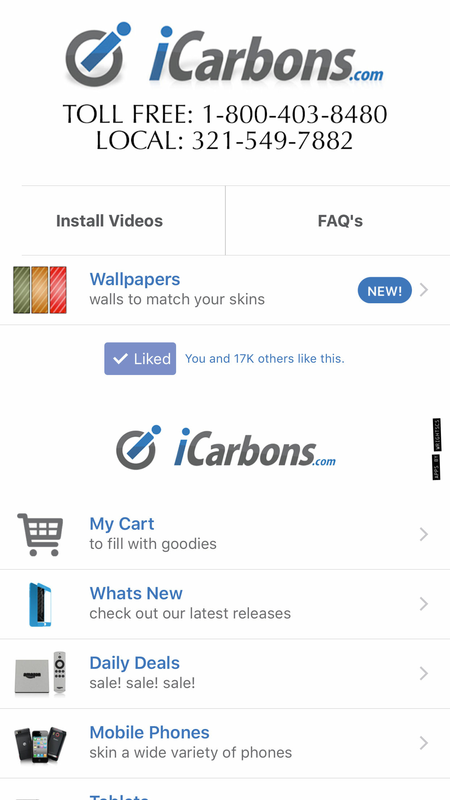 • Easy access to Installation Videos for your iCarbons.com skins! 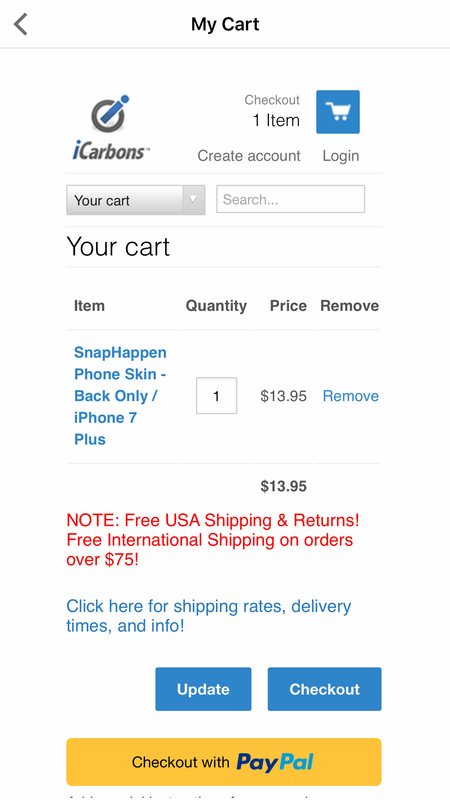 • A convenient shopping experience for all of your gadget skinning needs! 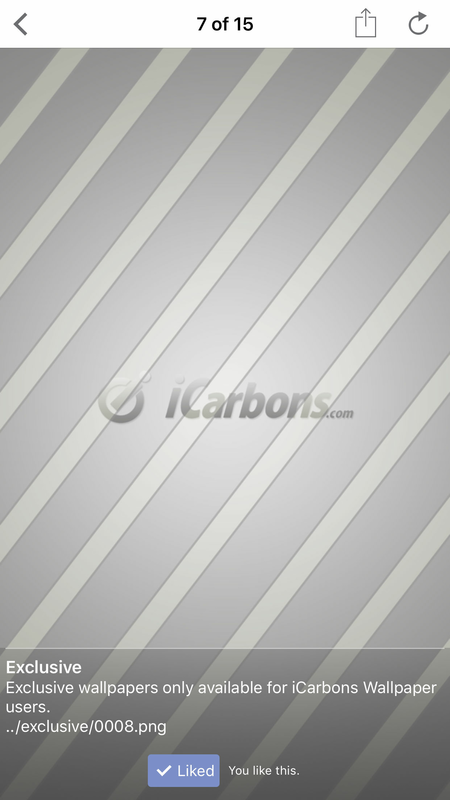 • Latest news from iCarbons.com and Frequently Asked Questions. 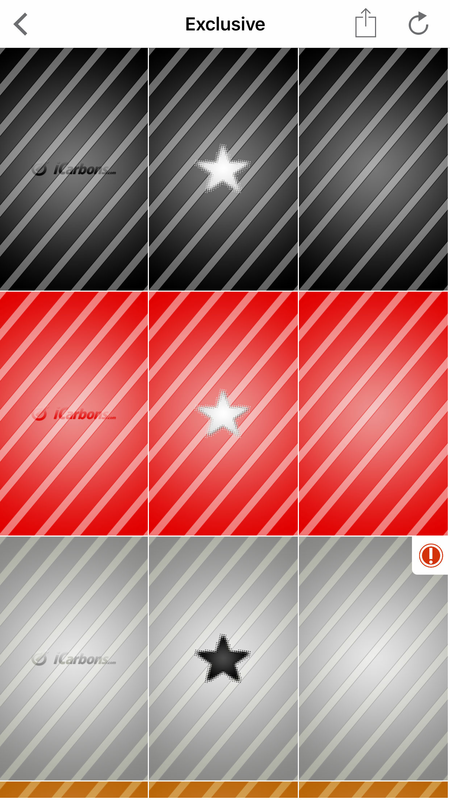 These Exclusive wallpaper are categorized for quickly finding the one that fits your device! More wallpapers are added periodically over-the-air, so no need to download app updates, just launch the app and new wallpapers will download automatically! Thumb gallery views give you a quick and easy browsing experience, just tap a thumb to view the original retina-friendly sized wallpaper then save it to your camera roll! One you have saved the wallpaper, you can set it by going to the Settings app.